Yummy! 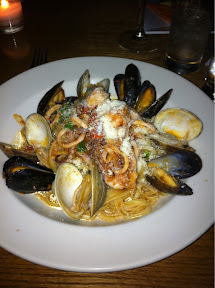 It has mussels, clams, shrimp, and calamari with tomato sauce. This was a nice place in Brooklyn that Tess and I ate at with Coach Phil and his wife.